The Matchless G80CS offered up on eBay is not really what most people consider a Sports Bike. But there was a long period in American history in which everyone was off in the woods riding. 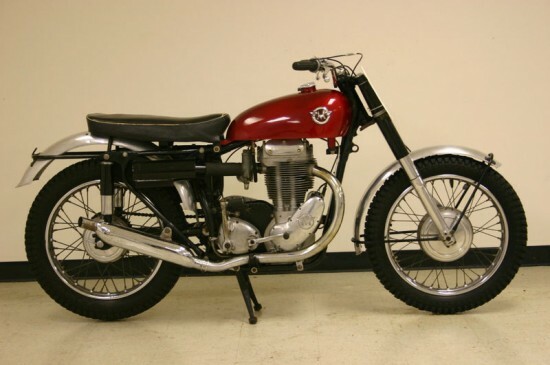 If it was a cost factor, or the fact that we always had more woods then roads, Americans have always wanted a bike that can handled the bumps in the (off)road. 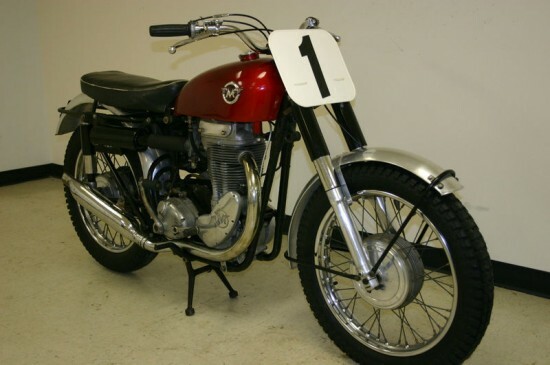 This Matchless can do that, and as the seller points out, hasn’t been really touched since new. The condition of this machine is highly original and un-restored. The frame number and the engine numbers are factory correct and original and the gearbox is also original to the machine. All of the numbers have been photographed and included in the photo section. It is the 500 cc engine. I believe I am the third or fourth owner from new and has a fantastic patina to it that can’t be replicated. 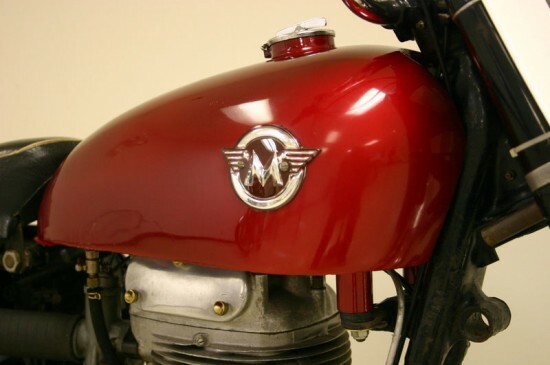 AMC is the British manufacture who owned both the Matchless and AJS badges. So when they offered up a new model, it was really two models. 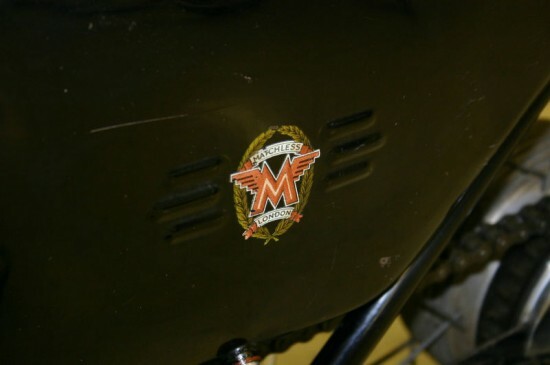 The Matchless badge bike had the magneto to the front of the cylinder and was called the G80. 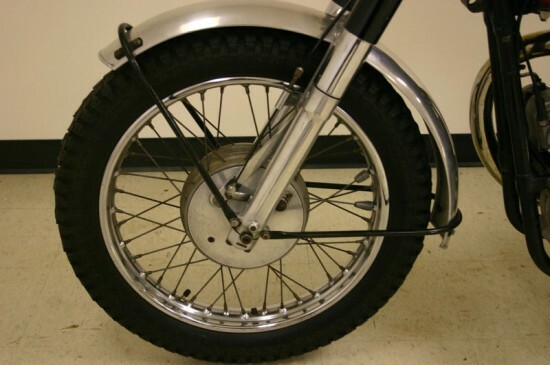 The AJS was the Model 18 and had the magneto in rear of the cylinder. Both were 500cc single cylinder engines that would create 28hp at 5600rpm. Though this bike has its patina, the seller appears to have taken it for a ride. The Matchless on the road is very easy to handle, and rides down the road very tight, with no shakes, shimmies, or rattles. It shifts and accelerates smoothly and holds the road as it should, even with the tires installed. 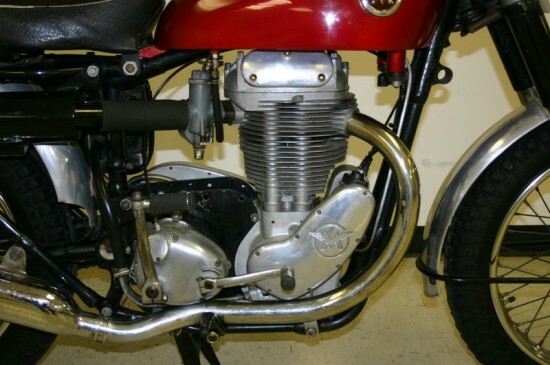 The Matchless and AJS had some evolution in suspension through its history. When it was first offered, the rear shocks were called Candlestick because of their appearance, but because of size and the tendency to leak, they were replaced in 1951 by the Jampot shocks. The final shock offered were by Girling, coming on 1956 and later models like the one on offer. 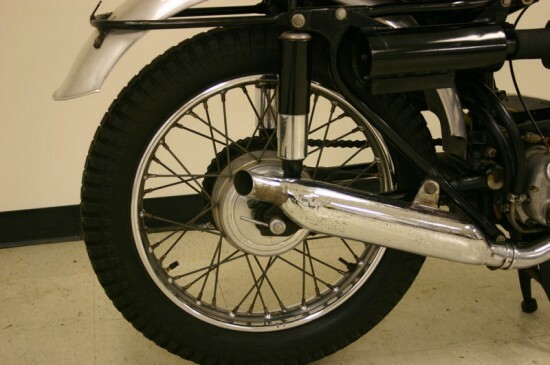 As the off road motorcycle evolved, longer travel in the front and rear suspension were essential. It is always interesting to compare what our for-fathers road, and what the pros ride, and fly, today.